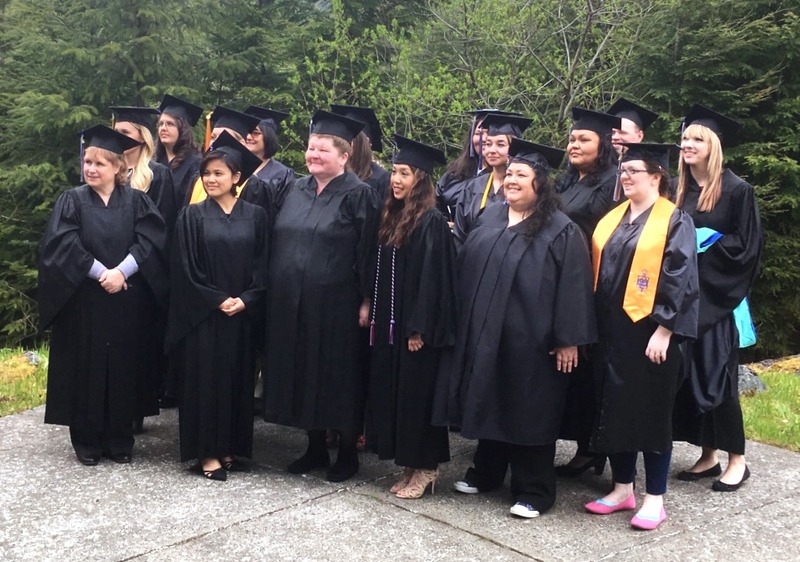 University of Alaska Southeast Ketchikan Campus celebrated its spring graduates this past weekend. Faculty, staff and the graduates’ friends and families packed the audience at the Ted Ferry Civic Center on Saturday. Graduation marks an end and a beginning – the close of one academic journey and the start of … something new. A career change? Another degree? Whatever the 16 graduates attending commencement might have planned for their future, this ceremony was the time to celebrate their present achievement. 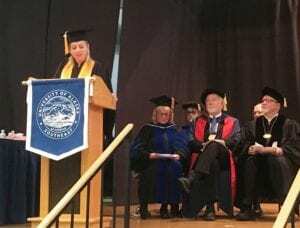 On hand to help them celebrate was UAS Chancellor Richard Caulfield, who attended three difference commencement ceremonies over the weekend, in Sitka, Ketchikan and Juneau. Caulfield said education is more important than ever in the world’s changing economy, and the graduates had taken a big step in the right direction. 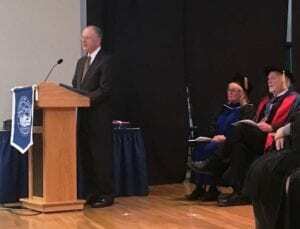 Recently retired Dr. David Johnson gave the commencement address. He had some practical, serious medical advice for everyone. Johnson asked everyone to not smoke; and if they already do smoke to please quit now. Johnson also had a more philosophical message. He said in this age of information explosion, it’s up to each individual to learn how to recognize useful, accurate information and apply that information wisely. The student speaker was Chelsea Goucher, who received her bachelor’s degree in social science. She said she spoke to her Ketchikan High School Class of 2006 during its commencement, and everything she said then turned out to be rather naive. So, she wasn’t going to give any advice this time. Goucher did, however, challenge her fellow graduates to remain curious. 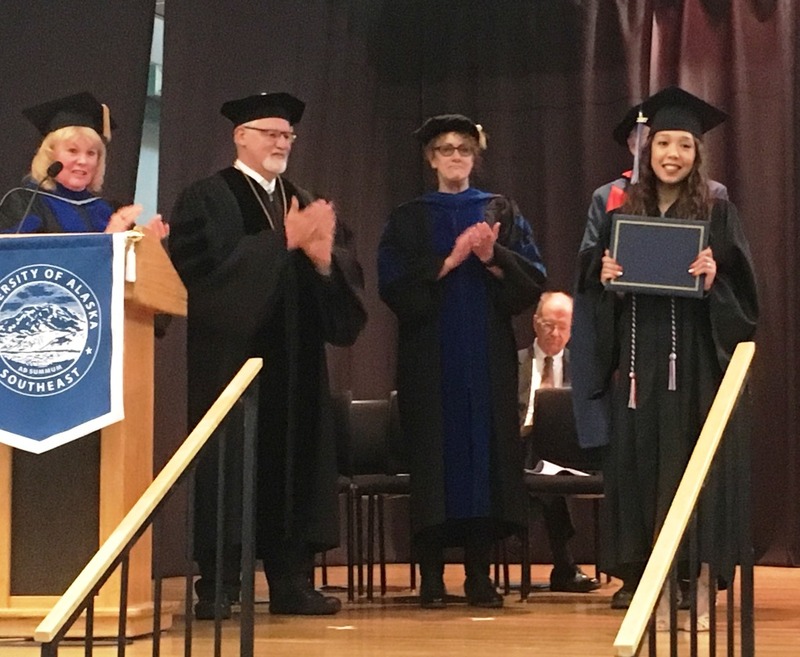 Thirty students received degrees or certificates from UAS Ketchikan this spring. Over the three campuses in Southeast Alaska, about 650 students completed coursework toward a certificate or degree. 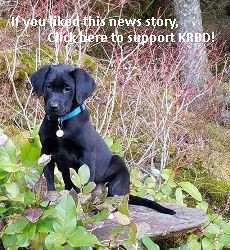 Here is a link to an earlier report with a list of this spring’s UAS Ketchikan graduates.